Randy Olson is an American documentary photographer whose artwork has taken him all around the world over the past 20 years. Olson has traveled around the globe on assignments, heading to places as diverse as the Siberian Arctic, Iceland, and Newfoundland in the north hemisphere, Africa in the south hemisphere, Turkey, Georgia, Spain, Italy, Austria, and Switzerland in Europe, the South Pacific, China, American Samoa, Thailand, and Australia in the south-east part of the world. 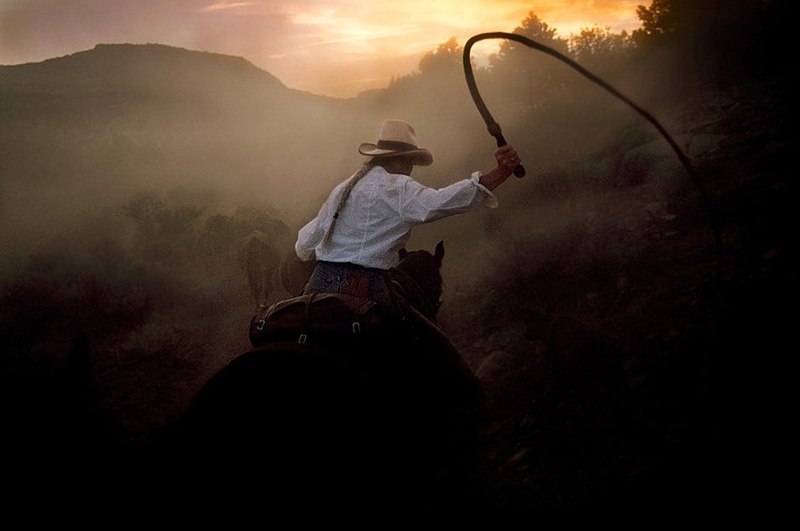 A graduate of the University of Kansas and the University of Missouri, Olson has primarily photographed for the National Geographic Society on over 30 assignments during the past two decades. He has covered many diverse subjects for National Geographic magazine, including U.S. national parks, Earth Day, county fairs, Russia’s Putorana Plateau, the Indus civilization, the Black Sea, Australia’s monsoons, the global fish crisis, and many others. Artist’s editorials earned him the honor of being the Magazine Photographer of the Year in the 2003 Pictures of the Year International (POYi) competition, and was also awarded Newspaper Photographer of the Year in 1991—one of only two photographers to win in both media in the largest photojournalism contest operating continuously since World War II. National Geographic Society published a book of his artworks in 2011 in their Masters of Photography series. Among National Geographic magazine, author’s images have been published in LIFE, GEO, Smithsonian and other magazines. Stories that have become most important to the artist involve cultures or environments that are under threat. 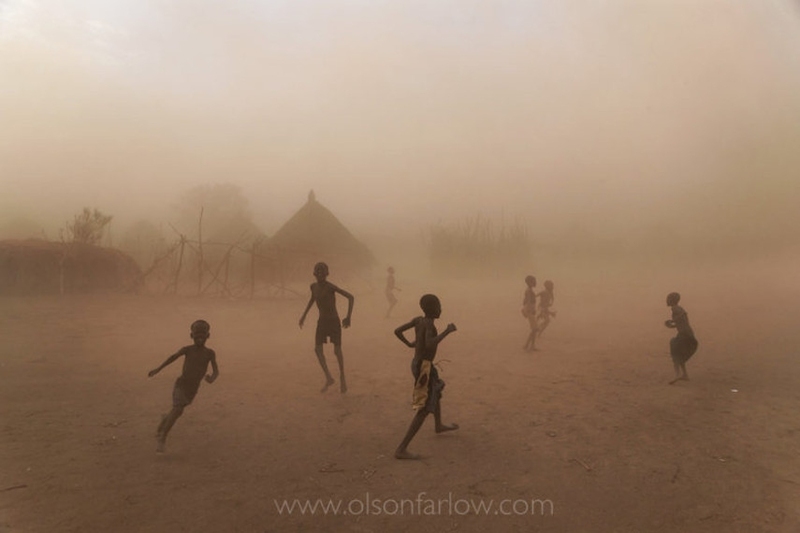 Most often Olson has photographed those cultures that are facing issues with resources, population pressure or urbanization. One of the author’s popular series of works, called 7 Billion, made for National Geographic magazine, is about population shift and how that affects the planet. According to the UN, the world’s population reached seven billion on October 31, 2011. Two hundred years ago, there were only one billion people on the planet. In the past fifty years alone, the number of people has more than doubled. 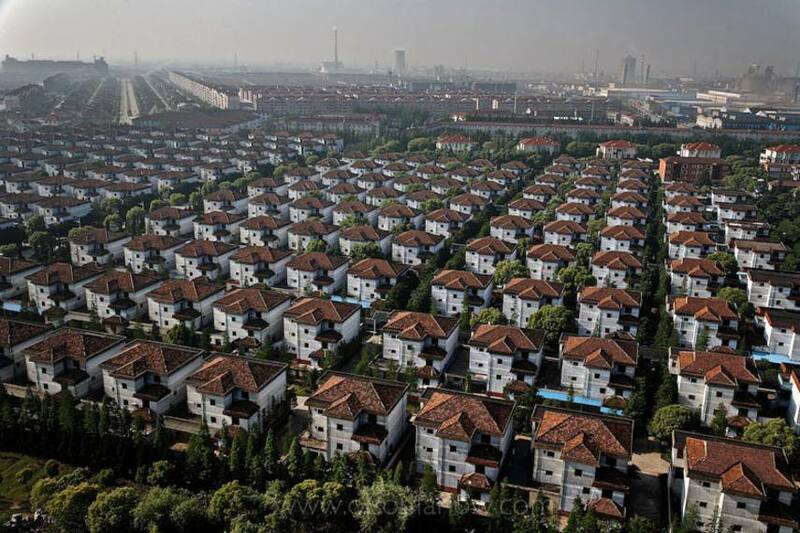 7 Billion is composed of four subcategories within which are concentrated the field photography: Urbanization, Immigration, Empty Pockets (the fertile poor), and Empty Nests (the depopulation of aging, rich countries). Making this series of photographs, Olson traveled to China, India, Mexico, Spain, Russia, Turkey, Uganda, USA, and Italy, amongst others. While Olson was working at The Pittsburgh Press, he received an Alicia Patterson Foundation Fellowship in 1995 to support a seven-year project documenting a family with AIDS, and a first place Robert F. Kennedy Award for his story on problems with Section 8 housing in 1991. He was also awarded the Nikon Sabbatical grant and a grant from the National Archives to save the Pictures of the Year collection. 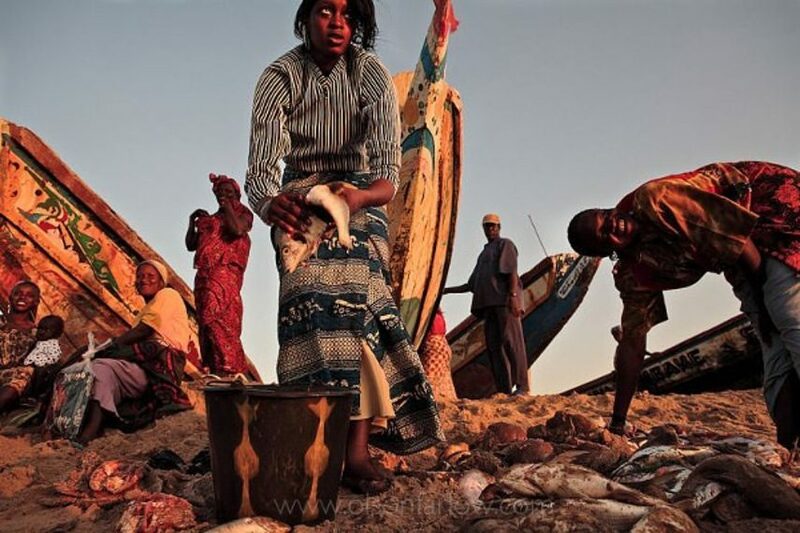 In 2011, the artist founded The Photo Society (thephotosociety.org) that is open to any photographer who has produced a full-length story for National Geographic magazine. The purpose of the organization is to find economic opportunities and provide exposure to members as the economics of print dwindles. The National Geographic photographers elected him to represent them on the Photographer’s Advisory Board (PAB) for National Geographic and The Photo Society grew from Randy’s work on the PAB and his realization that the management at the National Geographic Society didn’t really understand the hazards their photographers endured. Olson normally works individually, but often collaborates with his wife and fellow photographer Melissa Farlow. They have co-produced National Geographic Magazine stories on Northern California, National Parks, and the Alps. Farlow and Olson photographed a joint book project on the Southern United States and have collaborated on over 70 books with other photographers that are published by Collins Publishers, National Geographic, and others. As the economics of print dwindles the two have continued to support their documentary interests by doing advertising campaigns and corporate work. The author spent a month photographing the 2008 Toyota Land Cruiser campaign in the Yukon and Australia. They have done ad work for Becton, Dickinson and Company, HSBC Bank, Audi, Northrup Grumman, The Cleveland Clinic and others so they can continue their personal projects. Randy Olson and Melissa Farlow split their time between Pittsburgh, Pennsylvania, and Portland, Oregon.